Join us for a Bonfire Bonanza! 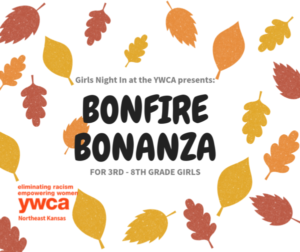 Girls Night In is a fun-filled, educational event for girls in 3rd through 8th grades. New to the event: Coding party! Girls will participate in Google-sponsored STEM activities that include coding apps, robotics, and more! 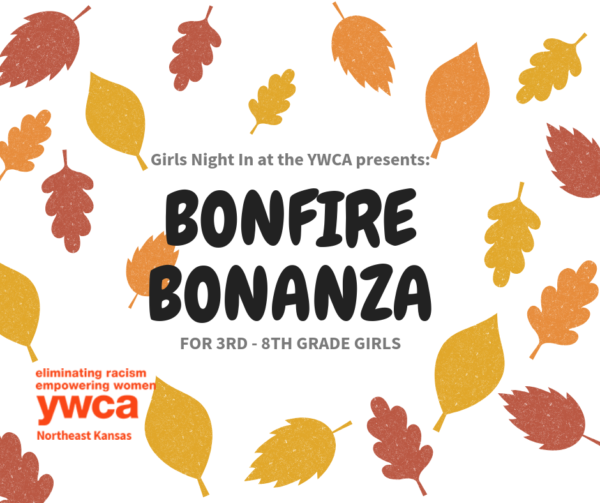 Activities include: late night swimming, a flashlight scavenger hunt, s’mores, and more! Bring with you: A swimsuit and towel, sleeping bag or blanket, pillow, pj’s, and flashlight, and completed consent form. To register, contact Lauren Journot, Youth Services Director.